”And you are sure this is what you want to do? The hours and days would roll by as the two spoke. She was immortal while he was the deceased who needed no breath, sleep, or food to be on the earth. The door to the lake during this time would not open for anyone and many were worried but it was on the fourth day during midday when everyone heard the door finally unlock from its magic hold. “Gods you make it sound like you are dying.” Bryony rolled her eyes but complied. It was troubling as Angela had always been forthcoming with her plans. However, the oracle had seen the sadness and resolve in the goddess. Just what was she planning? The arrangements were made and everyone was called home. Those who could not make it were lent oracles who would show them. This was important and no call like this had ever been done before in mass. On the chosen day, Angela made her way through the crowded streets. Her sisters stood with Kirika at the very front of the crowd. She climbed the stairs of the castle in silence as she found a higher balcony so she could talk to all. “What the hell is going on,” Toya frowned as she tapped her foot. “I’m afraid that the only one who knows anything is Angela herself.” Willow looked equally uneasy. After a few moments magic was used to create an effect so everyone could hear her. “Thank you for coming home in such short notice… and to those that could not make it I thank you for at least listening to me.” Angela took hold of the balcony and she gripped letting her knuckles go white. The normally confident goddess looked scared for only a second before the resolve came back. 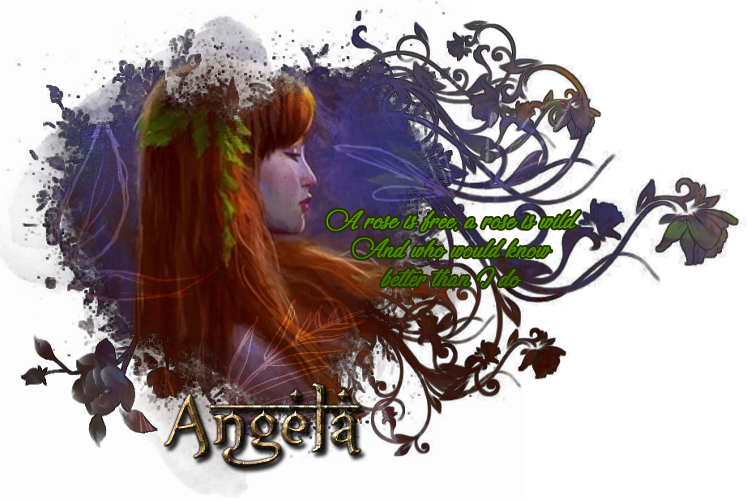 “That’s why I’ve chosen to no longer be the queen of the Red Court,” Angela spoke with confidence. Angela went into a low bow as she closed her eyes. “Please take care of my son and help shape him. He will need everyone’s help as he learns. He is a good boy, no a man so make sure he stays on the right path.” After she came back up from the bow she silently left and stayed by herself for a while. “Oh behave…” Cathrine shook her head. 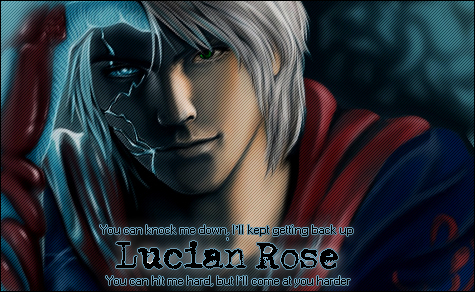 “I believe in Aunt Angela and believe she made the right choice for herself and Sularia.” Kirika gave Lucian a smile. “At least things will be interesting for a long time to come,” Lily shrugged her shoulders. “Guide these people with all of your heart. I too believe Angela made the right decision. It must have been bothering her for a long time now.” Willow gave a smile and looked up at the castle. “Only she could do something like this. Anyone else asking would have been suicide. To forcibly rip the spirit from its vessel is to kill yourself and lose a part of yourself. Remember the sacrifice your mother has made and learn from it.” Willow made her way back into the castle to have a few words with Angela before the Goddess departed from the city. The first thing that came across the young man’s mind was: Was she about to die yet again!? The news of her stepping down from her role as the Red Queen didn’t make any sense for him and certainly there was an outcry from the public once they learned this. Sure enough, there was but she had quickly squashed this and made her reasoning known. Lucian had been up front the whole time, trying to come to terms with this since he had already known that he would be picking up from where Angela left off, but still- it was all happening and all at once. He did feel a little unnerved when his name was announced and immediately he felt all those eyes from the crowds fall upon him. His family, who were usually scattered about all over the realm, and the people that took residence here. His own father attended but from afar, this wasn’t the sort of business he had anything to do with and was here for support for his only son. Gods, did his mother really have to pull this out? The lack of faith in some was expected and understandable; hell even he wasn’t too sure that he’d be capable of being an effective leader. Lucian had been working hard to learn everything he needed to one day accept his position, but he expected that he would have more time before this would happen. Looks like fate had other plans for him and Sularia. At the very least, his mother was willing to work alongside him to guide their court in the right direction. His eyes questioned her when it came to the medical skills that she would be teaching him. That was one subject that he severe lacked in since he had been so focused on swordplay. And he still had to learn all the siblings he had! “I’ll try my best, Mother.” It took a lot of courage to get that much out of him as he felt the weight of the world on his shoulders. It would be up to him, his mother, and the other Queens to see to it that he ruled as just as possible. He would need support from his people as well, and offer them that very same thing. “You aren’t dying again, are you?”, he asked, slightly annoyed in his tone. Of course, she knew of their deal should she did something like the last time she had “perished” again. Or he’d die trying to.